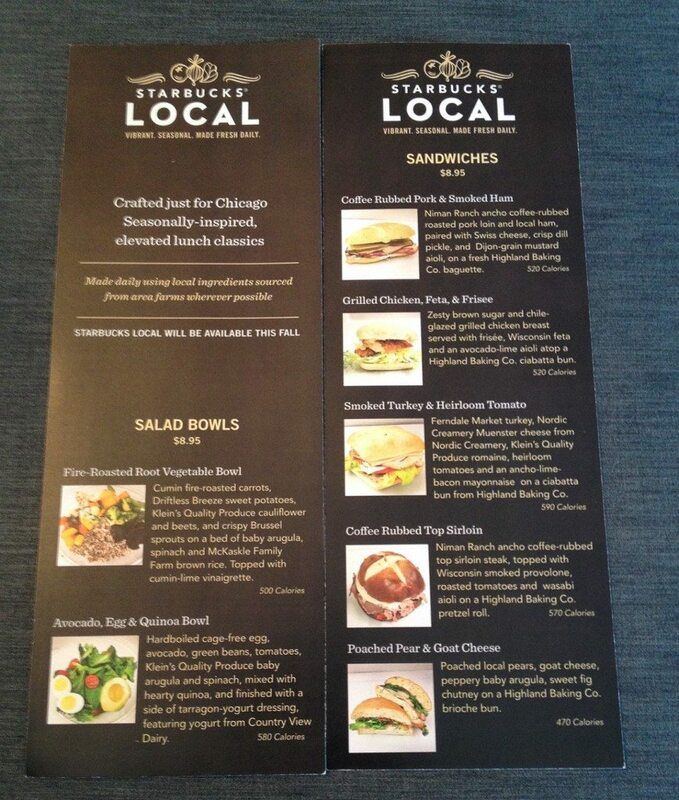 Starbucks is testing a local foods option in a small number of Starbucks stores in Chicago. I confirmed with Ms. Erin Shane (an official Starbucks spokesperson in their headquarters) that this is a small test of roughly ten stores in Chicago, and it is slated to end at the end of October. Look how delicious this looks!! 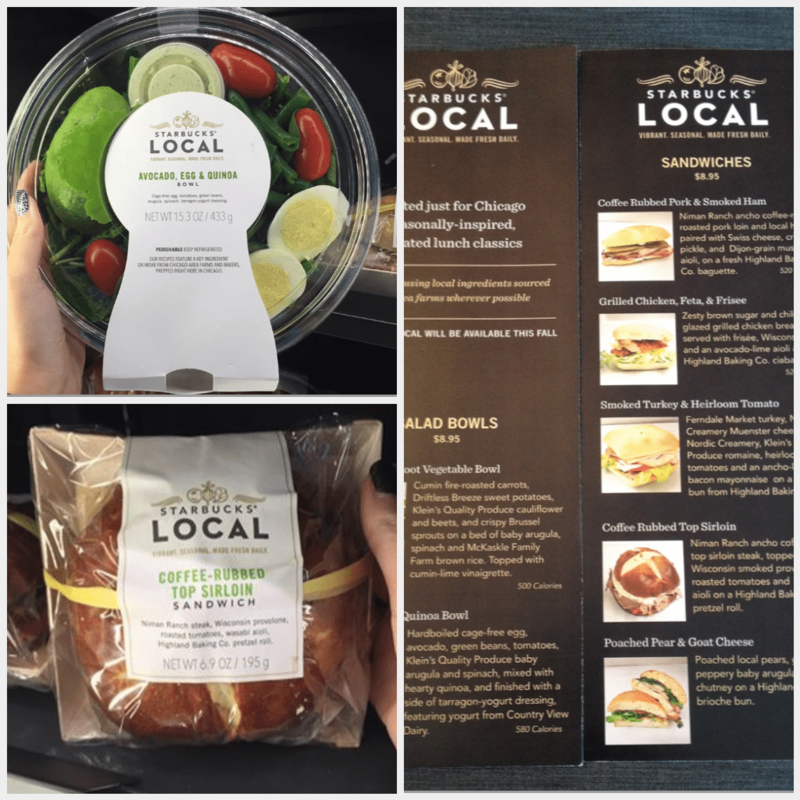 The Chicago reader who submitted these photos said that she especially loved the Coffee-Rubbed Top Sirloin sandwich. I think I would like that too. This kind of test – while small and brief – excites me a lot. 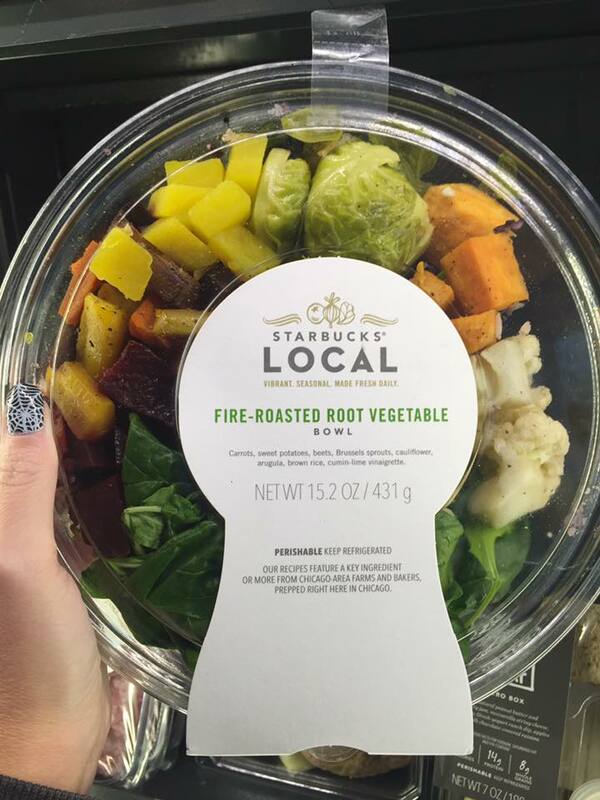 I would really like to see Starbucks place a bigger emphasis on high quality, local foods. 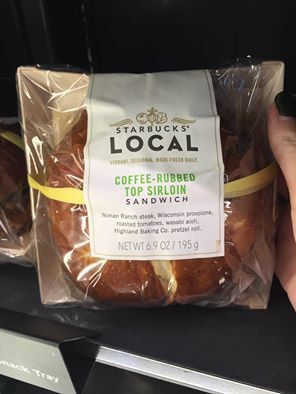 I believe that for years Starbucks operated with the idea that there had to be uniformity in their food options in their stores: That is, if you could buy a lemon loaf in Southern California, the exact same thing should be available in Maine. 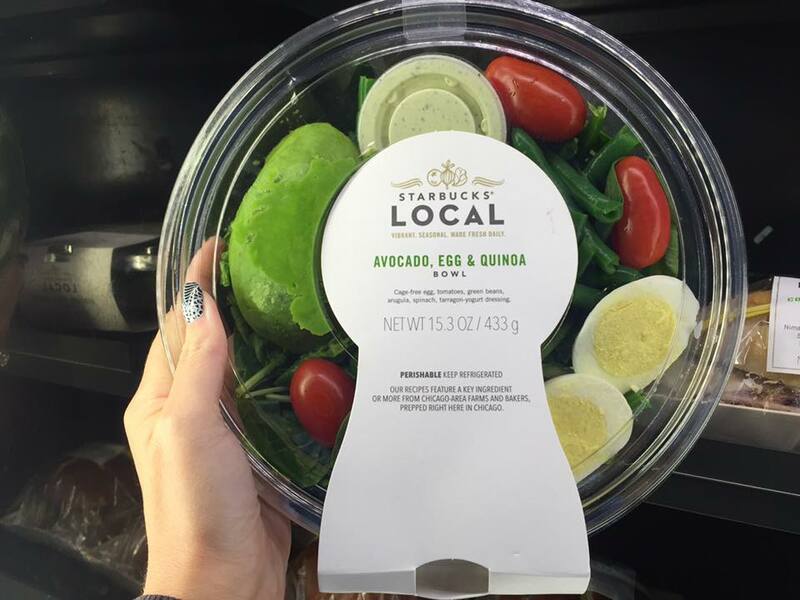 The challenge is that at some point mass distribution of food from large distribution centers can, and sometimes will, bring down the quality. I’m not convinced that there has to be this perfect uniformity of food. 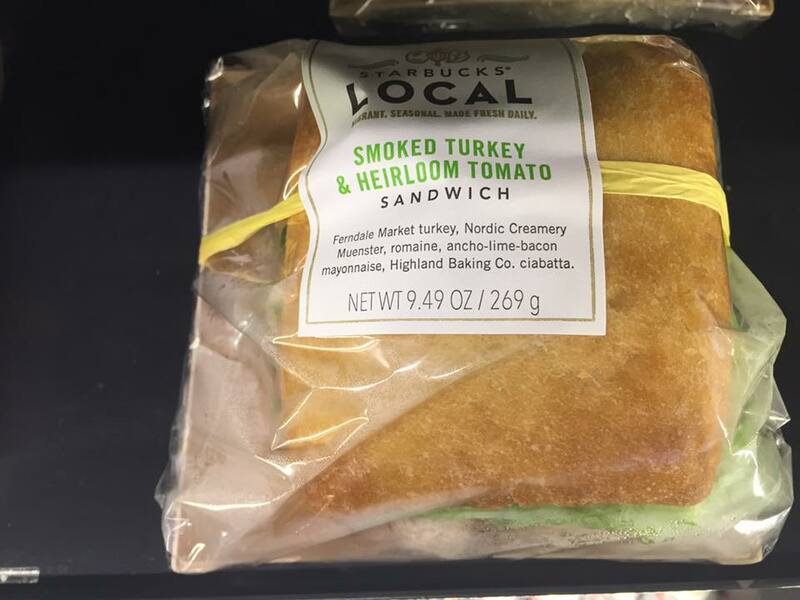 I believe that Starbucks is moving away from that model of total food uniformity. Just as store design now has dramatic variation (from small drive-through only stores to gorgeous Reserve bars) so should the food have some variation. Here in Seattle, I’d like to see Mindful Muffins represented in 10 select stores. 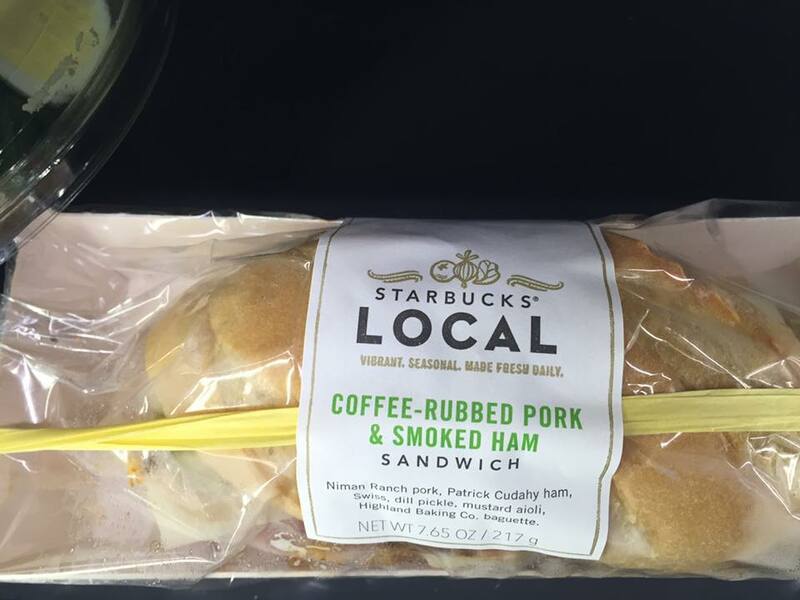 (Although under this test, they’d obviously be re-branded in Starbucks packaging). 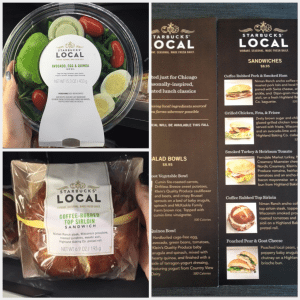 What would you like to see at your neighborhood store which is local and relevant to you? Hidden Messages in the Packaging? Green Coffee Loading Pit? Things you might've missed. 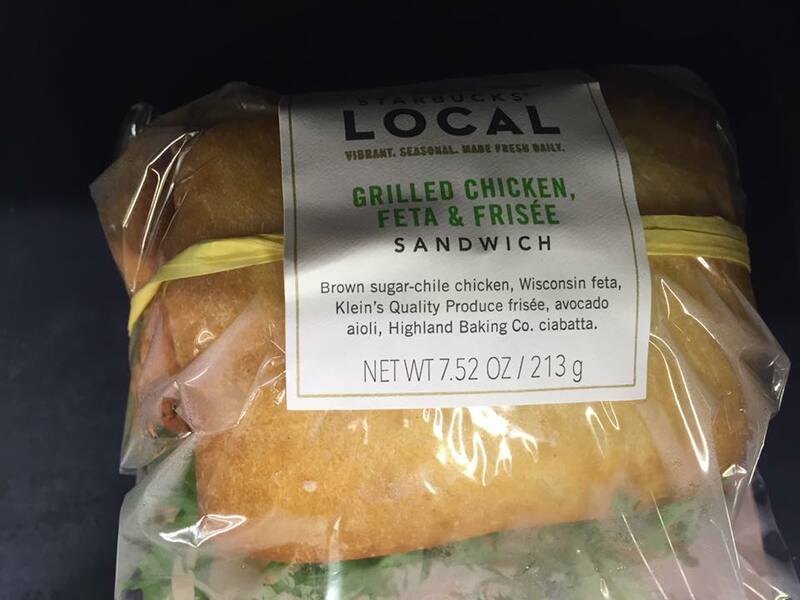 These new lunch items look amazing! I hope we start to see more of these types of tests. I live near White Center where they are currently building one of those stores targeted towards lower to middle income ethnic communities. So I think it would be great to have some pastries from the Salvadorian Bakery and Momma Bear’s Fry Bread. Or how about a coffee milkshake with ice cream from Full Tilt Ice Cream?